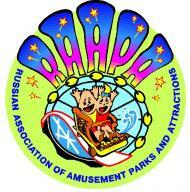 RAAPA EXPO is the biggest amusement industry exhibition in Russia, the CIS and Eastern Europe. About 200 companies from Russia and over 20 foreign countries such as the UK, Italy, Canada, Mexico, Turkey, Belarus, Ukraine, Spain, Belgium, Germany, China, Switzerland, Poland, the Netherlands, etc. exhibit on the total area of 6,500 sq. m. All main directions of amusement industry are displayed at the RAAPA EXPO. During the past 19 years the exhibition has won the status of one of the most efficient business platforms where the professionals of amusement industry meet. Annually RAAPA EXPO is attended by over 4000 professionals.